Diving can be magical no matter where you are, but it’s all the more amazing at these incredible places to dive around the world. Cushioned within the Lighthouse Reef Atoll of Belize is the Great Blue Hole, a large submarine vertical cave that measures 300 metres in diameter and 125 metres deep. With its beautiful, clear water and the variety of wild marine life such as nurse sharks, sea turtles and parrot fish residing in its depths, this tremendous hole is a popular scuba diving destination. Conditions in Belize are decent all year round. The rainy seasons are from June to November but rarely are there day long deluges. After a heavy rain the visibility on offshore sites, like the blue hole, aren’t really affected by rain. Strong winds may cause the cancellation of diving trips. March is generally the windiest month, with occassional storms in October and November. The cost of tours and diving is based on the price of fuel so don’t expect large seasonal discounts. Average cost per dive: $40 USD + small gear hire fee. Best time to go: Summer months January – May. Malapascua is located in the centre of the Coral Triangle, making each dive a pure delight filled with opportunities to explore. 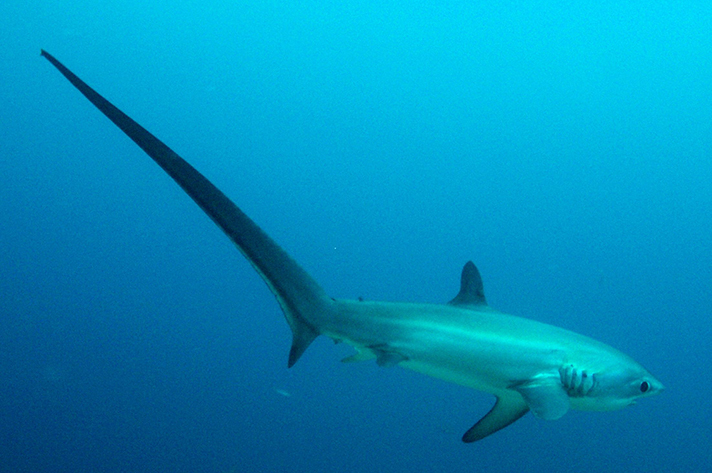 The Thresher Sharks are the reason people come here, they are completely harmless and in abundance all year around. There is a high chance of seeing them on every dive. The marine life in Malapascua includes hammerhead sharks, whitetip sharks, mandarin fish, countless nudibranchs, pygmy seahorses, beautiful unspoiled coral gardens and much more. There are over 30 different dive sites in Malapascua ranging from 10 metres to 40 metres in depth, attracting an eclectic mix of marine life. Spring is the best time to visit as the sea is at its calmest but of course this is one of the busiest times of year, so be sure to book well in advance. Average cost per dive: $25 USD. Best time to go: Spring time (June, July, September). The legendary Rainbow Reef dive is known for its beautiful coloured fish and its extremely rich eco-system that rivals the bio-diversity found on Taveuni’s surface. The Somosomo Strait has strong tidal currents which provide a constant flow of nutrients, idyllic for soft coral growth, healthy and diverse eco systems and plentiful fish life; in fact Fiji can count over 1198 fish species and more than 230 hard and soft corals. 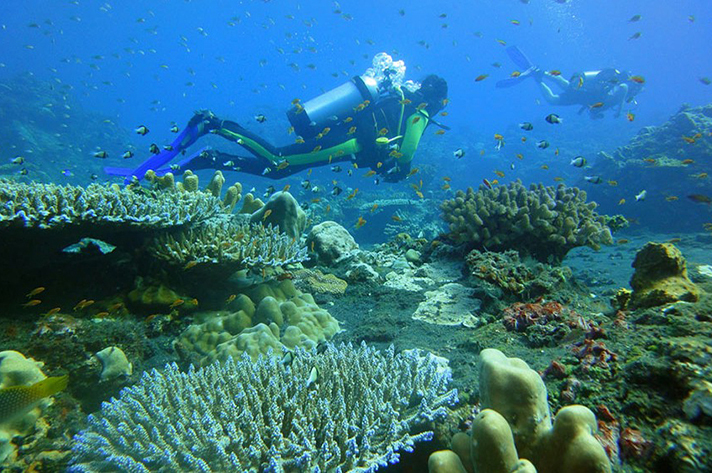 There are over 25 dive sites to explore around Taveuni and most have top-notch visibility. You can take an overnight ferry to Taveuni, which is highly recommended if you have the time. Otherwise there are scheduled flights that depart out of Suva and Nadi. 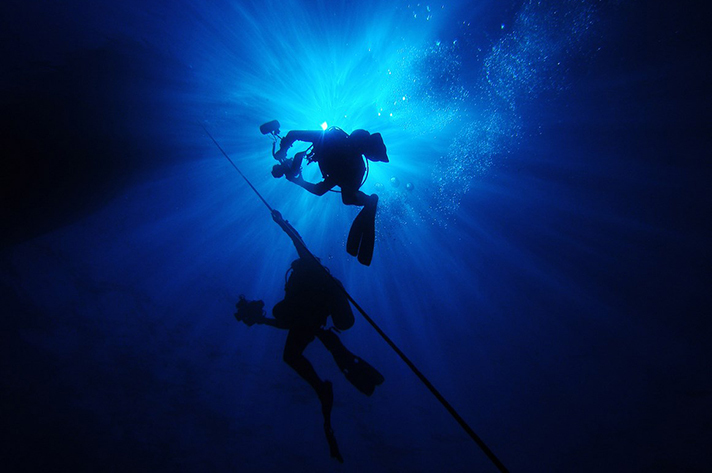 Average cost per dive: Dive costs vary from $35 USD to $71 USD. Best time to go: Between the months of April & October. 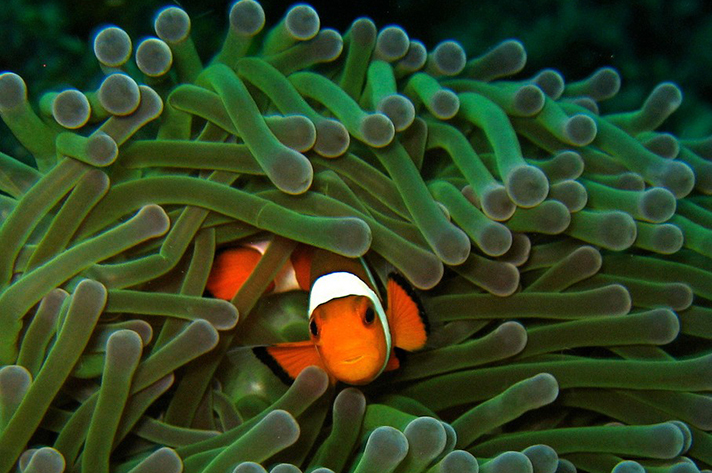 Australia’s world famous Great Barrier Reef offers a diverse range of diving experiences from beginner to expert diver. Diving expeditions depart daily from all the major cities and towns along the coast and from most island resorts. No matter where you stay on the reef, you are always within a 20 – 60 minute boat ride of an excellent diving spot. Average cost per dive: A single dive including all equipment starts at around $60 USD. Widely recognised as the best scuba diving area in Thailand, the Similan and Surin islands are home to almost everything – coral walls big rocks, huge sea fans and barrel sponges, caves and swim-throughs. With 25 dive sites there is certainly no lack of choice when it comes to seeing some of the most beautiful marine life in the region. Giant mantas are frequently sighted around the islands. Seahorses can also be seen at the bottom Richelieu Rock. Most people who dive these islands do so via liveaboard, which provides full board and 14-17 dives depending on how many days you book. Seven day trips are most common and 10 day trips usually run once a month. Keep in mind that some 10 day trips also visit sites in Burma. For those with less time, there are two day trips to the Similan islands. The best period to visit is March when the winds are calm and the water is clear. The national park is closed from May 16 to November 15 due to monsoons. Average cost: A 7-day trip starts at around $520 USD + $6 daily use fee and entry fee. Best time to go: March is the best month to visit. Perhaps the most famous shallow dive known to man, at only 3.6 metres deep you can experience an astounding assortment of marine life from sting rays to vibrant soft coral at this easily accessible site, perfect for diving all year round. You can feed and play with the sting rays and other marine life like moray eels and green sea turtles with little to no experience in scuba diving or snorkelling. Fierce competition on Tao has seen extremely competitive prices among dive shops and it’s apparently one of the cheapest places to learn to dive. Koh Tao produces more PADI Open Water licences than anywhere else in the world. Average cost per dive: $21-$30 USD depending on how many dives you will do and if you have your own equipment. There are more than 20 dive sites near Redang Island to suit all skill levels, including beach dives and challenging deep dives, with a good mix of coral garden, wall dives as well as sandy bottom which have a maximum depth of about 40 metres. There is a strong conservation initiative on Redang which seeks to preserve coral gardens, as a result it’s blooming. The best time to visit Redang is during March and April especially for diving where visibility can hit 40 metres. This clarity is great for seeing Redang’s reef life including bumphead, parrotfish, jacks, nudibranchs and the occasional shark. Average cost per dive: Single dives from $28 USD and an extra $13 USD for gear hire. As the best dive spot on St. Thomas island you should expect to see a network of coral tunnels filled with caves, reefs, and ancient boulders encrusted with coral. This shallow 12 metre dive has optimal vision during the summer months which allows you to see the Juvenile Cape knifejaw and spotted flatworm on the ocean floor. Cozumel’s protected marine park harbours impressive coral walls, huge canyons and pinnacles, thrilling swim-thrus and an amazing variety of sea life including. There is year round 30 metre dives with visibly, calm turquoise-blue waters and gentle currents make it a truly memorable experience. Diving here will give you the opportunity to see spiny lobsters, hawksbill turtles, nurse sharks, crabs, squid, and snail like creatures called flamingos tongues. Situated 1000km off the east coast of the Bay of Bengal, the Andaman Islands are a kaleidoscope of colours and coral, pristine reefs and you can feast your eyes on the mind boggling array of fish like Barracudas, manta rays, angelfish, Blue fin trevally and Lionfish. By far the best time to visit is between January and April as it’s the calmest period meaning both the shallow 6 metre dives and the 30 metre dives will be at its most visible. Average cost per dive: A day trip including 2 different dive locations starts at $82 USD including all gear and fees. Apo reef is not an individual dive site rather a 34 km marine sanctuary, perfect for diving from July to December. Visibility in the reef is not affected by weather conditions so it’s perfect to visit all year round. The reef has an extensive wealth of marine life such as schools of large pelagic fish including many species of shark barracuda and manta rays. There are also some 400-500 different types of coral. There are more than 10 different dive spots and 10 different operators on the reef which measures up to 50 metres deep, you are certainly spoilt for choice. As an added flow on effect of this competition the price of and average dive is around $25 per person. Mabul, on the surface, appears to be mainly a sandy bottom dive with broken rubble. Although upon closer inspection, the curious diver will find an amount and variety of life rarely seen before. 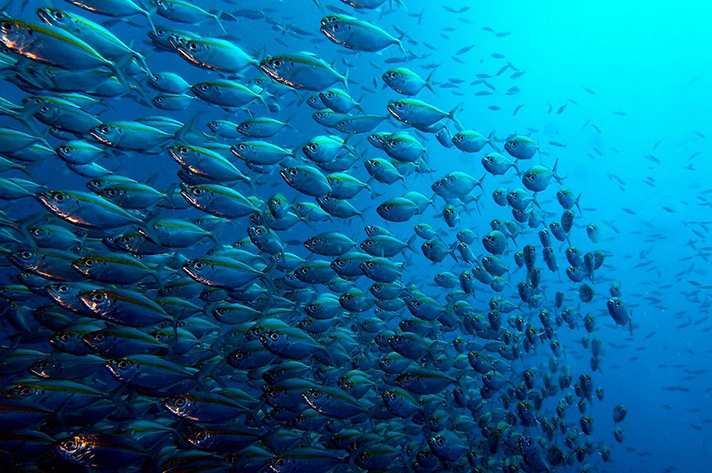 Mabul is the macro diver’s paradise – one of the richest single destinations for small marine life in the world. It is host to Flamboyant cuttlefish, blue-ringed octopus, mimic octopus and bobtailed squids. The dry season is great to visit this 10 site reef, that being from March all the way through to October. Prices start from around $40 for the basic individual single dive package. The Red Sea dive sites are characterised by beautiful, rich coral gardens teaming with tropical fish like the and has fantastic visibility up to 200 metres, easily considered one of the best in the world due to the fact it is surrounded by deserts with no rivers running into it keeping microalgae low. The diving conditions are excellent throughout the year, cooler from October to May and with summer temperature reaching 30 degrees. This intermediate dive can reach depths of up to 40 metres and can cost around 35 euro for one dive. Silfra tectonic fissure is a unique phenomenon on this planet. There are several other freshwater rifts similar to Silfra in Iceland, but Silfra itself is one of the most beautiful, interesting and easily accessible to divers. This chill dive has a depth of over 60 metres and visibility exceeding 100 metres making it, like the Red sea, some of the clearest waters in the world. Although it does not contain much marine life, there are rainbow trout and arctic char which occasionally make their way in from local lakes. Average cost per dive: A day trip starts from around $350 USD per person. You should expect to see a whole host of critters when diving in Kailua Kona such as humongous manta rays, frog fish, rare eels and resting sharks. The depth of the dive is around 15 metres and the visibility in the turquoise blue waters are just as you have imagined in your dreams. Perfect all year round, prices are also reasonable considering the knowledge and experience of the master divers in the area. There are tens of places to dive in Bali, each better than the last. The marine life is vibrant with sun fish, seas cucumbers, clown fish, star fish and sea urchins which can be seen with surprisingly great visibility. The best time to dive in the 40 metre depth of Bali’s waters is all year round, but if you really want to see the sun fish in all their glory, July to September is ideal. The Aliwal shoal is a 1.5 km wide reef on the inner edge of the Mozambique current and in addition the warm waters often provide for excellent visibility. Its best known wildlife is the ragged tooth shark which congregates in the shoal to mate. It is not uncommon to see up to 150 in a single dive session. Like most other dives it is around 35 metres deep and its peek time is during the summer when the waters are flat and transparent. Probably the best dive in the Galapagos Islands. Located on the southeast corner of Darwin Island, its depth ranges from 9 – 40+ metres and visibility is usually 12-24 metres. The Arch is a great place to watch whale sharks and other pelagics like the hammerhead, which come in hundreds to be hoovered clean by tiny fish.